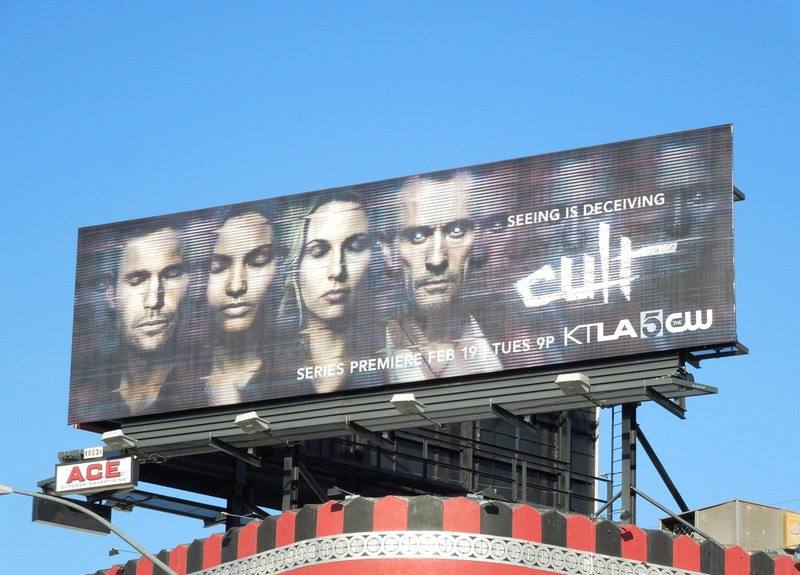 Things certainly do come in waves in Hollywoodland, especially when it comes to new television show concepts. At the moment cults seem to be the flavour of the month, what with Kevin Bacon's crime drama The Following featuring a cult of serial killers, and now The CW's latest series, aptly named Cult. 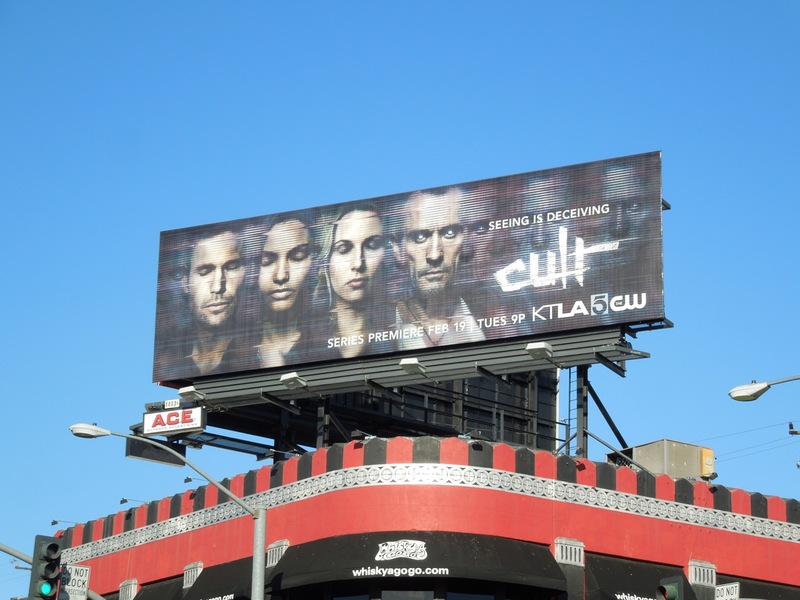 The new show follows an investigative journalist and a production assistant who investigate a series of mysterious disappearances and crimes surrounding a popular TV series called 'Cult' and its obsessive fans. 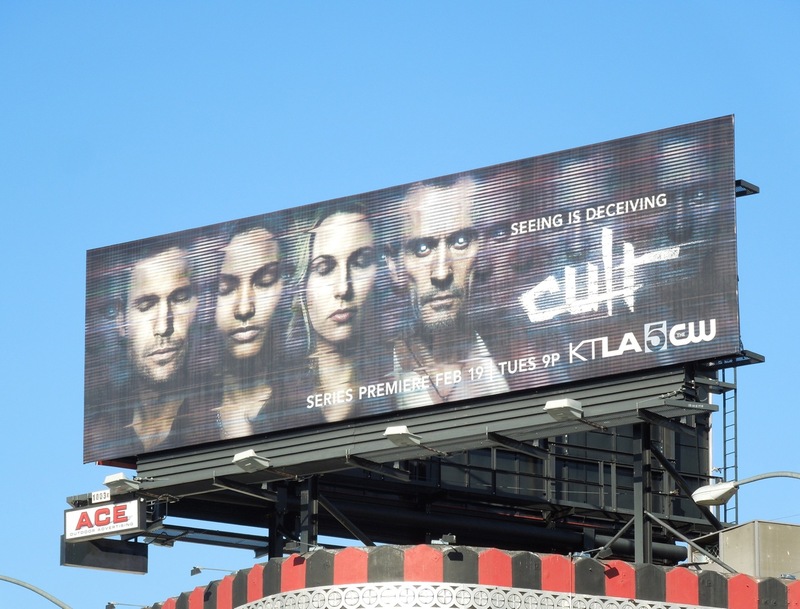 This trippy billboard for the new show is certainly attention grabbing, especially with those eerily glowing eyes of what appears to be the cult leader. 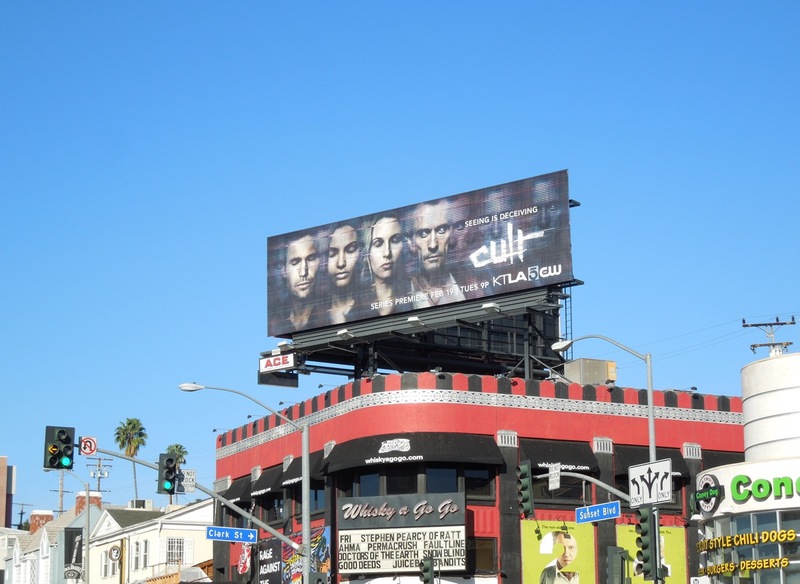 This arresting billboard was spied along Sunset Boulevard above the infamous Whisky A Go-Go club venue on February 1, 2013.